Home > Skincare > All good things must come to an end. Pan Project: La Roche Posay, L’Oreal Paris, Clinique, Cetaphil and others. All good things must come to an end. Pan Project: La Roche Posay, L’Oreal Paris, Clinique, Cetaphil and others. It is a tradition that at the end of each month I describe cosmetics that I have recently used up. This time I will be talking mostly about personal care products, cleansers and treatment. I use only this kind of care because my skin is sensitive and requires more attention in the morning or evening. Therefore, I would like to present my opinions about CC Rosaliac La Roche Posay cream, firming lotion from Nivea Q10 Plus, L’Oreal Elvive Extraordinary Oils Nourishing Shampoo Dry To Rough Hair, Palmolive Aroma Moments Feel the Massage Shower Gel, Clinique All About Eyes Rich under eye cream and Cetaphil Oil Control Foam Facial Wash. Cream CC Rosaliac La Roche Posay. It is a cosmetic that provides covering and correcting properties, designed strictly for sensitive skin, prone to flushing. It often replaces my foundation, sunscreen and a preparation for soothing irritations. Additionally, it evens out the skin, camouflages redness, prevents discomfort and protects against sunlight (contains SPF 30). The bottle is equipped with an applicator; it seems to me that it is much better than applicators in some foundations. CC Rosaliac Cream from LRP is available in one universal shade. However, it blends naturally into fair to medium skin. Nivea cosmetics are perfect for my sensitive and extra dry skin. The lotion I was using worked wonders for me! Thanks to this product, my skin finally became not only firm and smooth but also hydrated and nourished. It has a delicate creamy consistency and consequently it is easier to distribute and absorbed more quickly. I used this cosmetic after each shower or bath as well as after every epilation. Additionally, it has a very pleasant scent that last long on the skin. One of the best shampoos I have ever had. This nourishing product works wonders when it comes to extremely dry hair. Additionally, it nourishes my scalp. It contains many flower oils, such as: chamomile, linseed, sunflower, lotus flower, the Tahitian gardenia and rose. All those ingredients enhance the appearance of hair, restore lustre, softens and improves resilience. The whole line consists of conditioners, hair creams, masks, oils and elixirs. So far I have only been using the shampoo, but amazed by its wonderful effects, I decided to try out the entire series. This shower gel contains the properties of gently exfoliating shower scrub with dead sea salt, aloe vera and water mint. The product is perfect for skin care; it hydrates and smooths. It gives the feeling that the fresh fragrance revitalises the body and mind. It not only cleanses your body but also exfoliates, gets rid of dead skin cells. What is more, it provides a gentle massage and relaxes after a hard day at work. Furthermore, its light formula foams easily and is very efficient. I am going to purchase it once again, therefore, I strongly recommend this product. This is by far the best product I have ever used for under eye skin care. 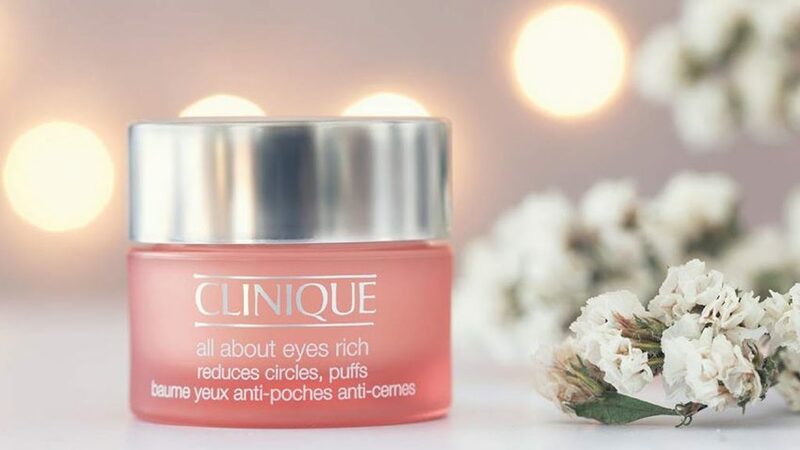 It smooths wrinkles, reduces puffiness, neutralises dark circles and shadows. Ever since I have started using it, my face became more beautiful, even, flawless and without the impression of a tired skin. While each application, I performed a few-minute massage to allow the ingredients penetrate into deeper layers of the skin. What is more, this product is designed for extra sensitive skin. It is ophthalmologist and allergy tested, oil and fragrance-free. This product is intended for cleansing extra sensitive and acne-prone facial skin. Thanks to this cosmetic, my face was always cleansed thoroughly, smooth, hydrated and nourished. The foam has a very delicate formula, lathers well and you have the feeling of a really well-treated skin. I used it twice a day, in the morning and evening, on damp face. All cosmetics from this brand are perfect for those who struggle with acne or irritations.